No matter how far you're moving, we have trained movers, packers, and storage professionals waiting and ready to assist. Whether you’re looking for budget-friendly packing help or a fast, full-service moving strategy, the Bay Area movers of Upline Moving are sure to offer the right type of support for you. A family-owned and locally based moving company, we strive to wow our clients with a more personalized approach throughout every step of the relocation process. We’ll happily customize our many moving, packing, and storage options until they’re just right for your timeline and budget! At Upline Moving, we realize that household moves can be stressful, and we’ll do whatever we can to simplify the process and keep you comfortable from origin to destination. From our packing services to our moving equipment to our valuation coverage options, our residential movers will work with you to find the perfect approach for your family’s relocation. 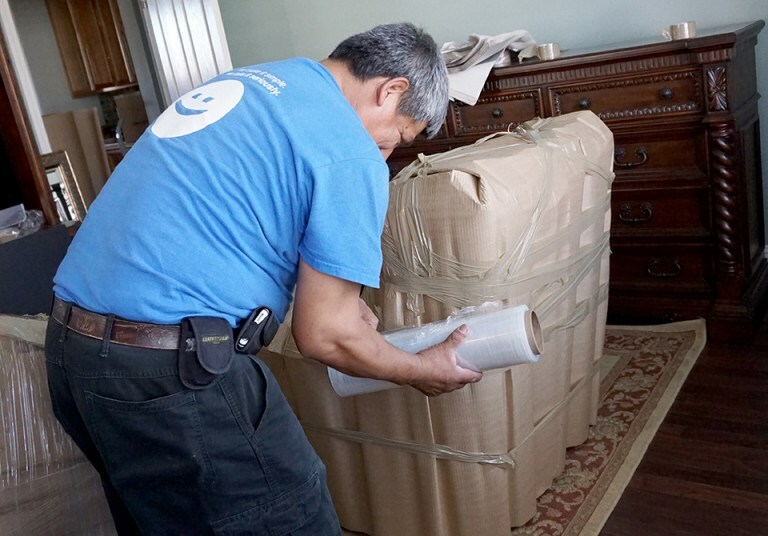 One of the biggest stressors of any household move from the Bay Area is wondering whether your precious family belongings will arrive safely and free from damage. That’s why Upline Moving goes above and beyond the industry norm to protect your items through meticulous, customized packing strategies. We’ll bubble wrap your photo frames, crate your piano, pad your furniture, and do whatever else it takes to ensure a safe, damage-free delivery. We can even unpack your boxes, haul away trash, and provide full-coverage insurance! To keep your family’s move hassle-free, we’d be happy to supplement any of our Bay Area moving and packing services with convenient household storage. We have storage facilities throughout the United States and offer both short- and long-term options depending on your needs. Bulky furniture, large appliances, expensive technology… all will be safe and secure in our modern warehouse facilities. You’ll even get 30 days of free storage—on us! There’s a reason why our Bay Area movers are consistently named among the “Best of San Francisco”—and we’d be happy to demonstrate our customer commitment through a free moving consultation today! Give Upline Moving a call to explore our many residential moving, packing, and storage services, or use our online form to request your free, no-pressure cost estimate from a local moving pro now.